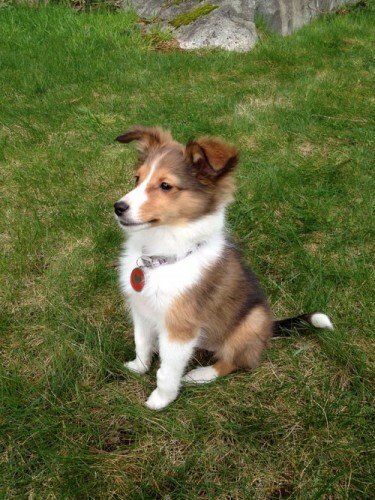 Lulu is an adorable 8 week old shetland sheepdog puppy, who was transferred to our hospital from Vancouver Animal Emergency Clinic after our regular business hours. Although we were closed, our overnight nurse was able to reach Dr. Dhillon to come in so we could admit her. Lulu was diagnosed with parvovirus at the emergency clinic, which is a serious, highly contagious virus, mainly affecting dogs. It can be especially severe in puppies who are not protected by maternal antibodies or vaccination. came back showing toxocara eggs (roundworms) and coccidia (parasite), therefore a course of antibiotics was prescribed to clear these up. She did very well at our hospital, and she was discharged after only staying one more night with us after she was admitted. Lulu is now continuing her recovery at home with her wonderful owners, and is making great progress!